– Spray dust is better divided and plants are better covered than with a handheld sprayer. This is achieved by a very good spray boom and a fixed speed during spraying. 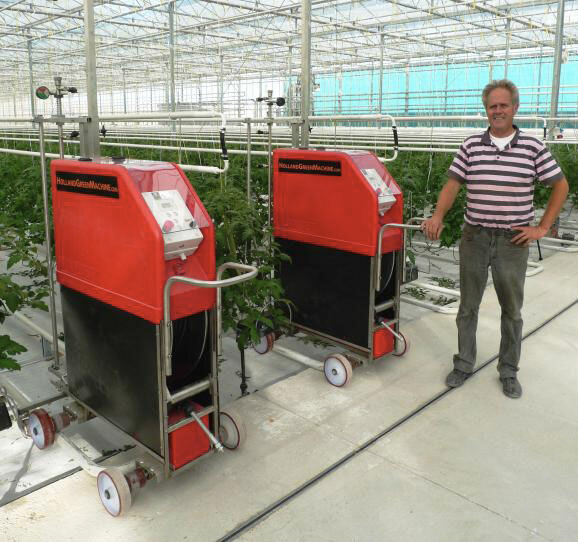 – The spray robot moves through the crops on its own, so the operator does not come into contact with the spray dust. 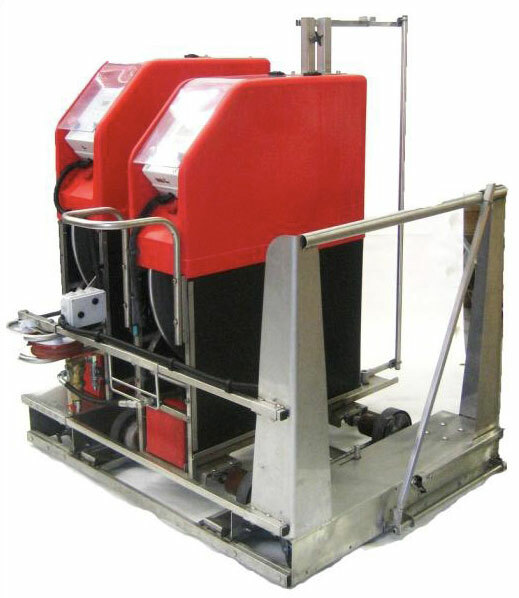 – The spray robot is capable of spraying parts of the spray path; this means reduction of the spraying liquid. The spray robot in action: The computer controlled S55 is very easily operated. On the switch board you will find the main switch, emergency switch and 4 push buttons. 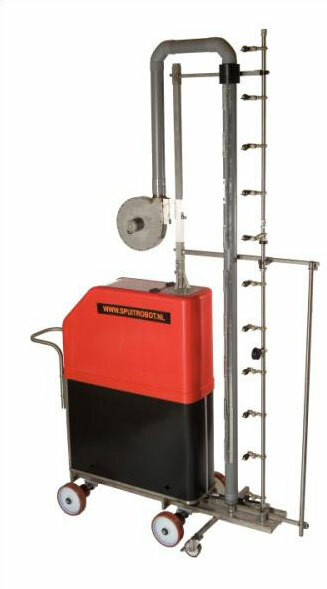 The angle of each spray nozzle is adjustable on the spray boom. It is also possible to close the spray nozzle by turning it. Choice of spray tip and water pressure control the liquid output. During spraying a sensor on the rear wheels checks the rotation of these wheels. 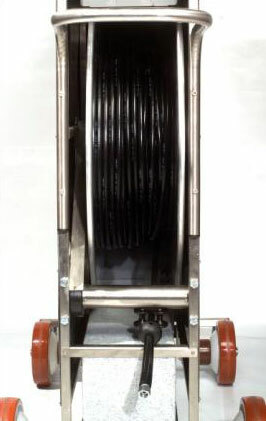 A flow switch checks the output of liquid during spraying. When there is no output, the robot immediately shuts down and waits until there is water pressure again.